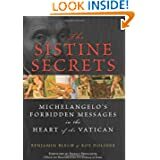 The Sistine Secrets: Michelangelo’s Forbidden Messages in the Heart of the Vatican by Rabbi Benjamin Blech & Roy Doliner is an international best-seller that is stirring considerable interest as well as creating heated controversy and discussion round the world. Enjoyed national TV coverage on 20/20, Nightline and Good Morning America and in its fourth week after publication reached the coveted New York Times Extended Best Seller List. The US News & World Report is highlighting it in their Special Issue this November on Secrets of the Bible. 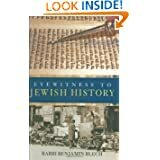 Among the highlights, the authors convincingly demonstrate that Michelangelo incorporated many teachings of Jewish Midrash and Kabbalah into the Sistine Chapel – daring ideas unknown to its four million annual visitors. And unlike the DaVinci Code, this book is not fiction but fact. 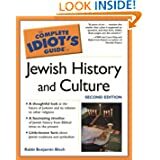 Judaism is primarily a religion of actions rather than beliefs. When the Jewish people accepted God’s covenant, they committed themselves first to obedience and practice, and then to striving to understand the message implicit in the Torah. 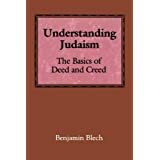 In Understanding Judaism: The Basics of Deed and Creed, a perfect textbook for independent and classroom study, Rabbi Benjamin Blech presents a comprehensive explication of the Jewish faith. What does it meant to be a Jew? How does religion affect the ways in which Jewish people think and act? 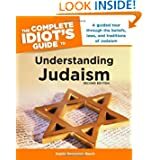 What are the basic concepts of Judaism? This volume answers these vital questions. 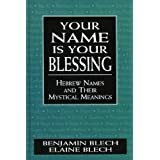 Your Name is Your Blessing: Hebrew Names and Their Mystical Meanings is the first book of Hebrew names that offers not only a comprehensive list of ancient and modern names with their meanings, but also a mystical insight, by way of gematria (the total of its letter components), into the personality, the soul, the prophetic destiny, and the blessing of every person based on his or her name. • Video filmed by producers of 20/20 used in conjunction with book in schools, Adult Ed programs, synagogues round the world; Presently featured on the website www.aish.com as basis of a course on Judaism in their University on the Web under the Pathways heading. This website is the largest Jewish website in the world with over 2 million hits a month, 260,000 weekly subscribers. • Now in its 12th printing . Did you know that hidden in the Hebrew word for Israel is a clear allusion to the patriarchs and matriarchs of the Jewish people? Did you know that the number of commandments in the Torah is indicated by its very name? What fundamental truths of the Jewish faith are revealed by Hebrew words? How can one understand their many levels of meaning and thereby grasp the essence of each? 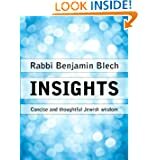 In The Secrets of Hebrew Words, Rabbi Benjamin Blech takes readers on a richly rewarding journey through the fascinating world of acronyms, gematria (the reckoning of numbers), and other techniques, revealing profound secrets of Jewish thought, cultural values, and religious perspective. 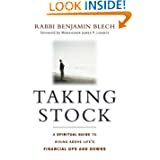 Rabbi Blech explores a vast array of topics that convey the major ideas of Judaism: Israel, God, and Torah; life and death, truth and falsehood, good and evil, joy and sorrow, love and hatred, peace and war; the blessings of life (wealth, wisdom, the soul, friends); man, woman, and family; biblical heroes and villains; and prophecies and predictions. Each word pertaining to a given theme is presented in a succinct one-page analysis, providing an informative glimpse into its significance. 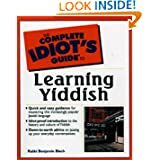 Readers will understand the real power behind a lie as indicated by the Hebrew word for falsehood, sheker. They will find the key to the jewish approach to immortality embedded in the word kever (grave). And they’ll experience countless other insights as they examine all of the words in this thought-provoking book. 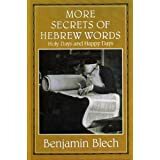 The Secrets of Hebrew Words is an intriguing collection of linguistic gems that will entertain readers while giving them a deeper insight into the jewish faith and its people. “A life-affirming gem. 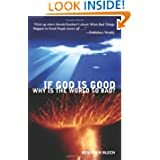 A rare glimpse into the mind of a biblical master working through a personal crisis.” – David Sacks, Emmy Award winning writer, Producer. 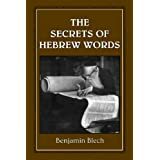 Just as in his previous volume, The Secrets of Hebrew Words, Rabbi Blech brings readers into the fascinating world of gematria (the reckoning of numbers) and acronyms to uncover the vast profundity hidden in everyday Hebrew language. 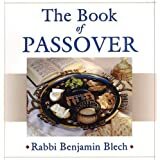 Rabbi Blech demonstrates that the language through which God creates the world is not composed of a haphazard arrangement of Hebrew letters. The letters are also numbers that define the essence of things with the exactitude of mathematics. Over the course of many years writing for Aish.com, I commented on a wide range of topics – from movies to Bernie Madoff to Tiger Woods to the killing of Osama bin Laden – as well as a host of other major and minor noteworthy events. What connects these essays is nothing less than Judaism. And that’s because for me Judaism means looking at the entire world through the lens of a divinely ordained perspective known as the Torah. Judaism isn’t just a religion that teaches us how to relate to God. It’s a way of life that is meant to make us wiser, more contented and better people. 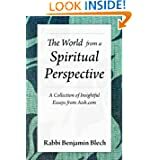 This collection of essays explores the how viewing the world from a spiritual perspective can uncover new avenues of understanding and elevate our daily lives.